If you use iTunes U in order to keep up with courses and class material, there will probably come a time when you've watched everything and completed assignments. That means you probably have no need to keep it on your iPhone or iPad any longer. If you want to free up some space, you can always delete them just as easily as you downloaded them. 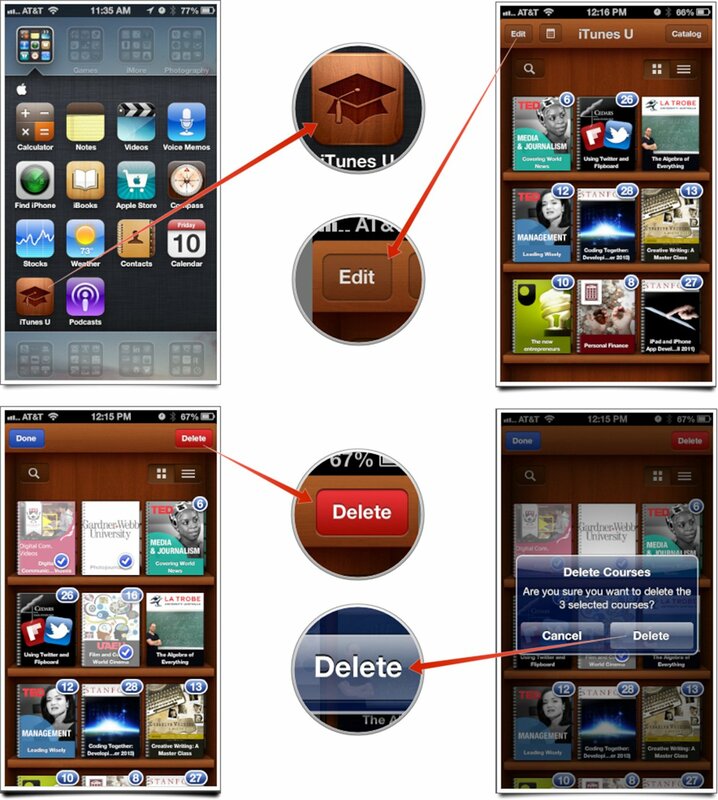 Launch the iTunes U app from the Home screen of your iPhone or iPad. From the main Library view, tap the Edit button in the upper left hand corner. Now tap the books or course material that you'd like to delete. Then tap the Delete button that is now in the upper right hand corner. iTunes U will ask you to confirm that you'd like to delete these selections. Tap Delete once more to confirm. That's it. Deleting older titles and materials you aren't using anymore is a great way to not only keep your material organized, but free up precious storage space on your iPhone or iPad.